As someone completely unversed in the Laurel and Hardy oeuvre, I’m not sure there could have been a better introduction to the comedic duo than through their last year together. With Jon S. Baird and screenwriter Jeff Pope‘s Stan & Ollie(inspired by A.J. Marriot’s book Laurel and Hardy: The British Tours enough to warrant a mention in the credits if not a credit itself) comes a tale that’s more than simply about their success. No, this film is a glimpse behind the curtain at what it means to be creative, part of a team, and at an artistic crossroads where talent inevitably makes way towards nostalgia until you’re able to prove the former still exists. As the title explains, this is about the men behind the moniker. Providing that, however, is to actually start with success anyway. 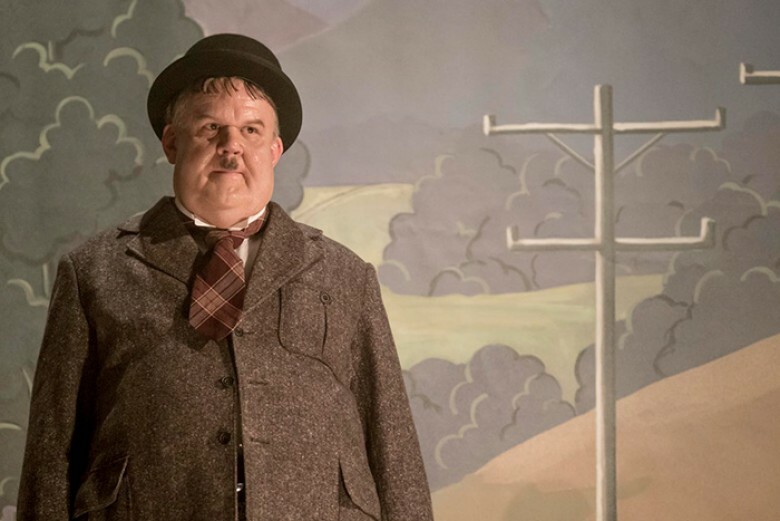 So we meet them (Steve Coogan‘s Stan Laurel and John C. Reilly‘s Oliver ‘Babe’ Hardy) during a long-take of witty rapport as they discuss their future, contracts, ex-wives, new wives, and the upcoming dance number to be performed on Hal Roach’s (Danny Huston) set. It’s 1937 and they’re at the height of their appeal. Stan can’t help himself from turning regular conversations into bits and Ollie can’t stop laughing in awe every single time. One sees their act as something worth preserving, the other a means towards paying mounting bills. One’s about to embark on a tough negotiating process to get what he deserves, the other merely content to live in the moment and worry about details later. It’s therefore a sixteen-year fast-forward to a cross-Atlantic boat ride to England that gives clarity as far as why they thought so differently. Stan’s writing a new script for a movie the two can perform once this tour gets their names back in the public consciousness despite being in their sixties. He’s the “brains” of the operation while Ollie provides the unparalleled straight man contrast necessary for those jokes to truly land. They possess a yin and yang type dynamic—Hardy excelling at bringing Laurel’s comedy to life and Laurel getting inspired by him to supply the fuel to do so. They weren’t spring chickens in 1937, though. They didn’t have wide-eyed excitement about what came next. Being entrenched in a business meant difficult choices must be made. We’ll eventually see what those decisions were and how they were handled on this rather sobering journey towards an airing of grievances years in the making, but for now we simply see them a little heavier, a little grayer, and forced to accept accommodations not as luxurious as previous tours. There’s a tired quality to the way they talk and walk, each inspired spark of fun generally met with amusement instead of glee. Has their time officially passed? Have they found themselves beholden to a charlatan of a manager (Rufus Jones‘ Delfont) willing to sell them out to ensure he makes money whether they do or not? And without this Robin Hood movie at the end of the tunnel, would the effort be worth the pain? The result is simultaneously hilarious and heartbreaking as the pair does what must be done to increase attendances and perhaps rejuvenate their minds if not their bodies. We watch them get closer than ever before traveling this country on their own with wives (Shirley Henderson‘s Lucille Hardy and Nina Arianda‘s Ida Kitaeva Laurel) awaiting a London rendezvous around the same time Stan’s producer contact is to meet them about the picture. But even with citizens clamoring to see legends back from “retirement,” public sentimentality isn’t the same as Hollywood viability. They’ve given up drinking, smoking, and even some of their regular routines due to shoddy knees, their enthusiasm to entertain only getting them by so far before life reminds them of regrets and dreams too lofty to realize. And with two-thirds of the run-time dealing in their joy of being on-stage and electricity when drawing up new jokes behind the scenes, you might be surprised to discover just how poignant things will soon get. White lies and festering wounds are growing larger in the background until they cannot be avoided any longer as we start wondering exactly how much of their union was an act. Was their being together always a business partnership begun by a producer or had they grown to become authentic friends who’d never let anything come between them? How much animosity did they hold for one another if their wives constantly ask how the other is treating them? The notion that the answer might be “bad” proves it once was. 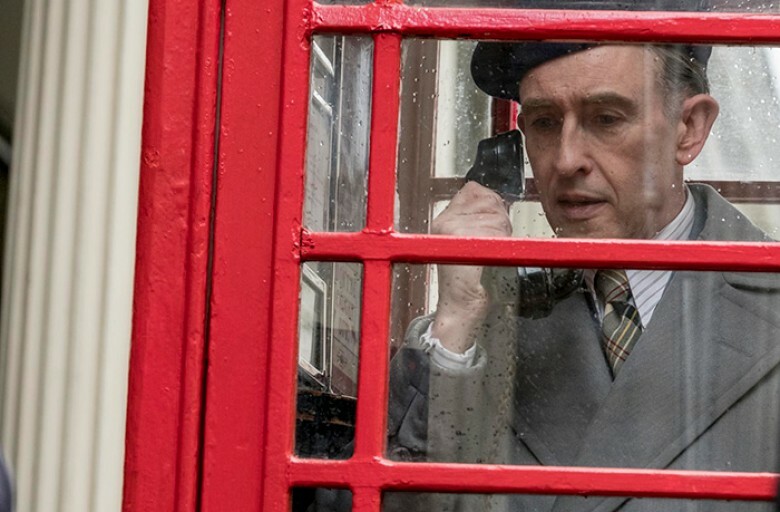 Credit for this melancholic turn is due to Reilly and Coogan. The former is initially more noticeable due to his transformation via prosthetics, but the latter surpasses him with sheer talent. That’s not to say Reilly’s isn’t great. He is. Being the more external of the two, however, allows him a broader sense of performance wherein Coogan’s Stan remains so internalized. We see the resentment Laurel still holds, but it’s the guilt of watching their collective hopes dissolve in an industry they used to rule as kings that will break your heart. In the end they find themselves willing to do whatever is necessary to earn a suitable send-off knowing their work will live on. Despite everything else, they were loved by the world and each other too. 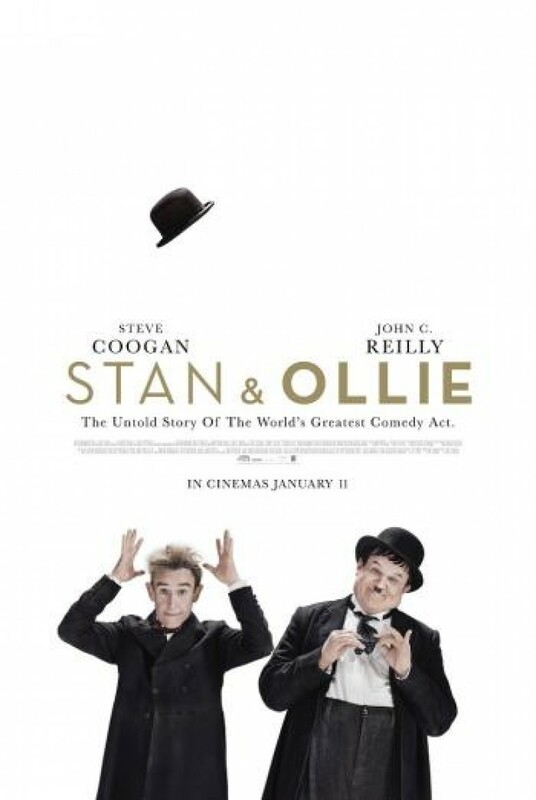 So Stan & Ollie serves as a remembrance of that legacy with more than just hollow reenactments or an uncomplicated rise to fame. It gives them personality beyond the screen and reveals the struggles they fought like anyone else. Their smiles were therefore as much a mask for reality as they were for the fictitious personas they exposed to audiences everywhere. When you work that long and hard with the same person, frustrations and clashing egos are bound to risk fracturing what exists beneath the noise of “image.” Maybe things got too difficult to combat at times, but there should be no mistaking the fact that love bound them regardless of origin or demise. Sometimes work becomes life, its rehearsals more than merely the means to an end.